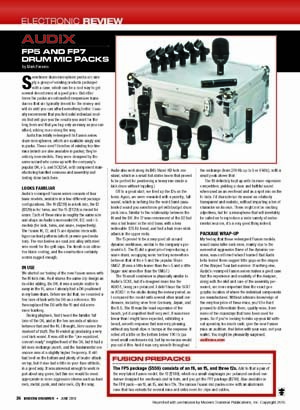 Sometimes drum microphone packs are simply a group of existing products packaged with a case, which can be a cool way to get several decent mics at a good price. But other times the packs are rebranded inexpensive transducers that are typically decent for the money and will do until you can afford something better. I usually recommend that you find solid individual models that will give you the results you want for the long term and that you buy only as many as you can afford, adding more along the way. 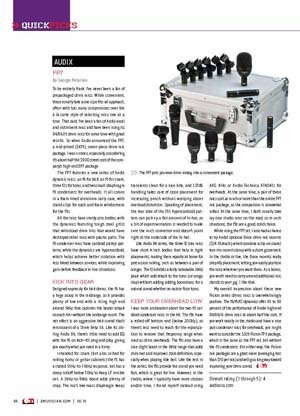 Audix has totally redesigned its Fusion series drum microphones, which are available singly and in packs. These aren’t bundles of existing top-line mics (which are also available in packs); they’re entirely new models. They were designed by the same wizard who came up with the company’s popular D6, i-5, and SCX25A, with component manufacturing handled overseas and assembly and testing done back here. 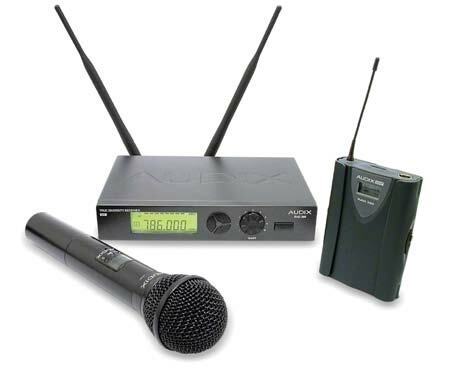 Customer may bring to any authorized Audix Dealer any Audix RAD 360 wireless system(s) in any frequency group from 692 MHz to 814 MHz. In exchange, Customer will receive 25% off current MAP pricing (minimum advertised price on NEW PRODUCT) on the purchase of a new RAD 360 system(s) (any model). Competitor wireless systems qualify for a trade in as well. Customer may trade in competitor wireless systems in any frequency group. Dealer will receive 25% off Dealer price (d.f.i.) on the new Audix RAD 360 wireless system(s) ordered. Audix will issue a “return authorization number” (RA#) and a “call tag” for returning wireless systems. You will not incur any shipping charges for returning systems. Contact Audix directly. There is no restriction on original date of purchase or value of traded in wireless system. Product will be invoiced at Dealer’s existing terms. Prompt Pay discount will still apply. Bring into an authorized Audix Dealer any Audix RAD 360 wireless system(s) in any frequency group from 692 MHz to 814 MHz to receive a discount towards the purchase of a new RAD 360 system. In exchange, you will receive 25% off current MAP pricing (minimum advertised price on NEW PRODUCT) on the purchase of a new RAD 360 system(s) (any model). Competitor wireless systems qualify for a trade in as well. You may trade in competitor wireless systems in any frequency group. Audix will issue a “return authorization number” (RA#) and a “call tag” for returning wireless systems. You will not incur any shipping charges for returning systems. Have the Dealer contact Audix directly. There is no restriction on original date of purchase or value of traded in wireless system(s). Please allow for up to 10 days for shipping of new product to the authorized Dealer. Program to run through September 30th 2010. Jeff Moore from Two Old Hippies, that’s who! There’s never been a better time to be a Bedell and/or Great Divide dealer. We continue to gain momentum and win market share with the Two Old Hippies’ brands. And we are fierce! Give your audience what they want; vocals they can hear! Your voice is an instrument, so treat it like one. Choose a mic that picks up your voice, not the emtire stage. 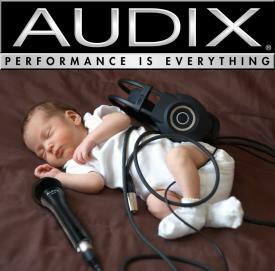 Since 1984, Audix vocal microphones have provided superior performance and are the choice of professionals worldwide. Audix microphones give you clarity, consistency, durability, vocal isolation, high sound pressure levels without distortion, and the best gain before feedback in the industry. Audix produces application specific vocal microphones and the best mic for your voice. See how your performancecan improve with an Audix microphone. 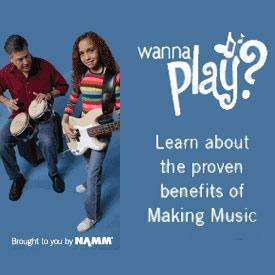 ...AND enter to win an OM5! 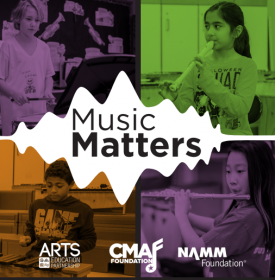 Read more about Clean Up Your Act!